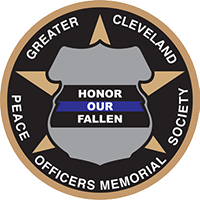 We invite you to read the December 2018 issue of The Partner, the official newsletter of the Cleveland Police Foundation. Thank you to CPF Police Officer of the Month Patrol Officer Samantha Haggerty and Community Partner of the Month Carol Black! Simply amazing amount of work – impossible to track it all! Here are photos from a handful of the many different events local Police Officers were involved in in over just a once month period. The Cleveland Police Foundation and Cleveland Cops for Kids want to thank Sharon Mazur and Blue Line Financial Services for donating 2 large boxes of childrens books to our Little Free Libraries!! 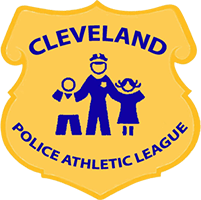 CPF and Cleveland Police promote literacy in our neighborhoods and we could not do it without generous donations. Cleveland Police Community Policing and 2nd District Community Engagement Officers spent the morning at Gallagher School with 60 or more 3 to 5 year olds and had a great time talking about safety, Mr. Potato Head, and a whole bunch of interesting topics!! Thank you to Ms. Keane and teachers for allowing us to come in and talk to the kids. St. Augustine’s Hunger Center held its annual Turkey Carving and Pumpkin Pie Eating Contests to kick off the Thanksgiving holiday. We again had a great time competing for the big trophies!! David Elk from Elk and Elk Attorneys at Law again carved up the competition to take the Turkey Carving Trophy, and Luis Gonzalez Jr. inhaled a pumpkin pie to take home the Pie Eating top prize!! Thank you to the FBI, Elk and Elk, and all of the participants and volunteers at St Augustine’s Hunger Center for feeding 20,000+ on Thanksgiving Day! Cleveland Cops N’ Cribs delivered a new crib to Tamisha for her 1 month old son Noah. 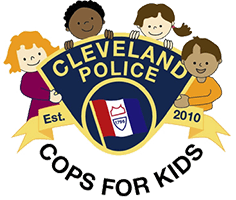 Cops N’ Cribs is a program sponsored by the Cleveland Police Foundation to provide safe sleeping environments for infants. Cleveland Police officers refer families to CPF, and Cops N’ Cribs delivers the crib free of charge!! Remember the ABC’s of safe sleeping for infants, Alone, on their Back, and in a Crib!! 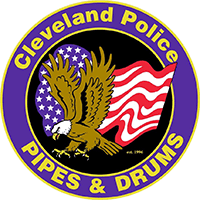 The Cleveland Police Foundation and Cops for Kids want to thank Dan Tome and the D-Team for donating $100 to Cleveland Cops for Kids!! Dan is a terrific young man who raises money over the holidays to support St. Augustine’s Hunger Center and other various charities!! We are humbled to receive help from this young man and are very proud of his efforts to help others!! 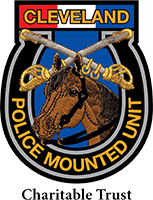 The Cleveland Police Foundation and Cops for Kids want to thank the Middleburg Heights Community Church for donating stuffed animals to our Cops for Kids program to be passed out by Cleveland Police officers throughout the community!! Thank you Judy Berg, Gale Berda, and Middleburg Heights Community Church for thinking of our kids in Cleveland!! The Cleveland Police Foundation wants to thank the staff and members of the West Park YMCA for holding a food drive for the needy on Thanksgiving!! The food donated will go to St. Augustine’s Hunger Center and help feed more than 20,000 of Cleveland’s needy! The Cleveland Police Foundation and Cops for Kids donated new toys and coats to the Collinwood Neighborhood Catholic Ministries for families in need for Christmas. This is the 3rd year in a row we’ve been able to help out this wonderful organization because of kind and generous donations from the community!! 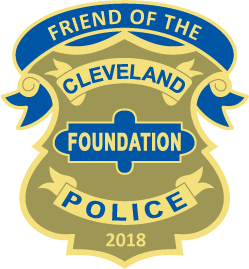 Thank you to all who donate to the Cleveland Police Foundation!! A big thanks also to Ward 10 Councilman Anthony Hairston for helping us out!! Cops for Kids at MetroHealth made our monthly visit with Community Policing and the 4th District’s Community Engagement Officers!! We again had a great time with the kids, families, and staff in the Pediatric Unit!! All the toys given to the children were donated by the Cleveland Police Foundation and Cops for Kids. Thank you to all who give to our cause! 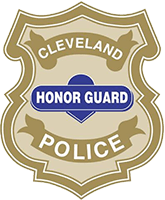 Cleveland Police officers from Community Policing, First District, and Second District delivered meals to 110 Cleveland residents in need and had a chance to spend a little time with some very special people. We also took some time to mingle with Sister Corita and the crew at St. Augustine’s Hunger Center and celebrate the holiday as a community!! The Cleveland Police Foundation wants to thank the many volunteers from Moen that came out to assist us at Sterling Rec Center for our free food and produce distribution!! 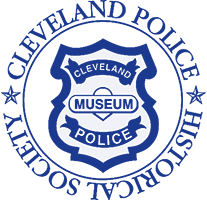 This monthly event is sponsored by the Cleveland Food Bank and the City of Cleveland’s Community Relations Department and the Department of Aging. Students watched the movie, “The Hate You Give” and had a student-led discussion of the issues after the movie. From the District 1 session of Cookin’ with Cops!